OSI Filter Kit & Tray with Alignment tools for a Innovatis Cedex Cell Counter . New Life Scientific, Inc. 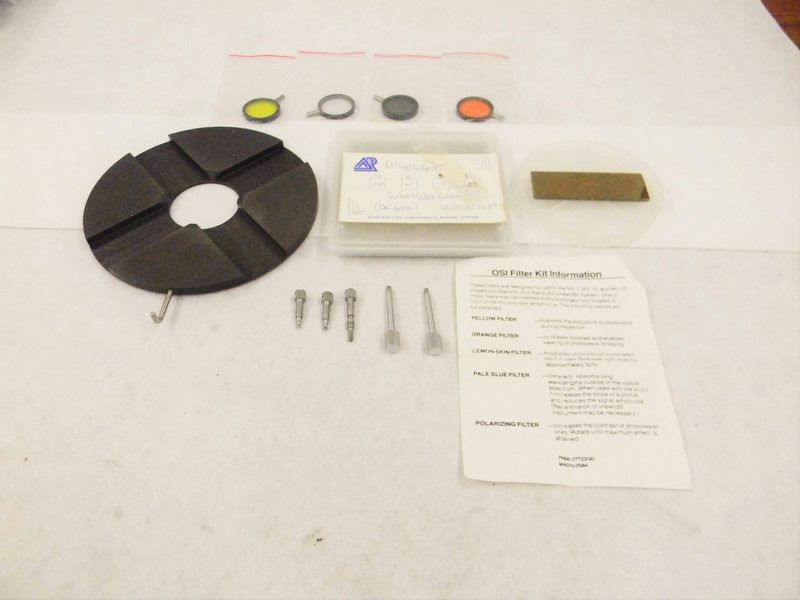 This filter kit and alignment tools are used with very little wear and are in excellent condition. These accessories are for the Cedex Automated Cell Counter w/ Autosampler. Orange Increases contrast and enables viewing of photoresist bridging. Pale Blue (infrared) Absorbs long wavelengths outside of the visible spectrum. Polarizing Increases the contrast of photoresist line.